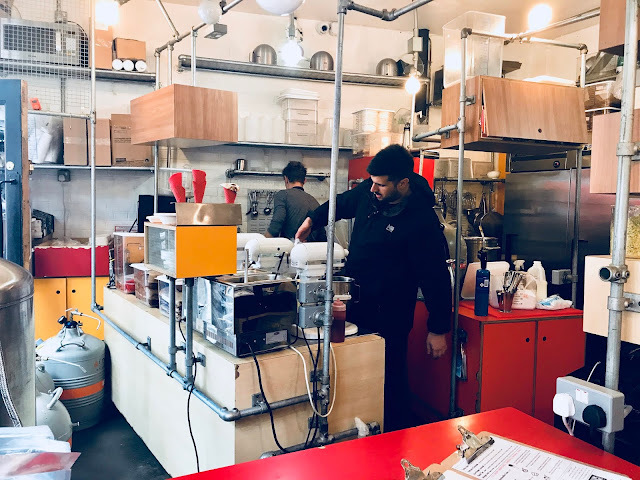 I finally got to try the most unique ice cream being served in London. An amazing recipe creating delicious ice cream using Liquid Nitrogen. 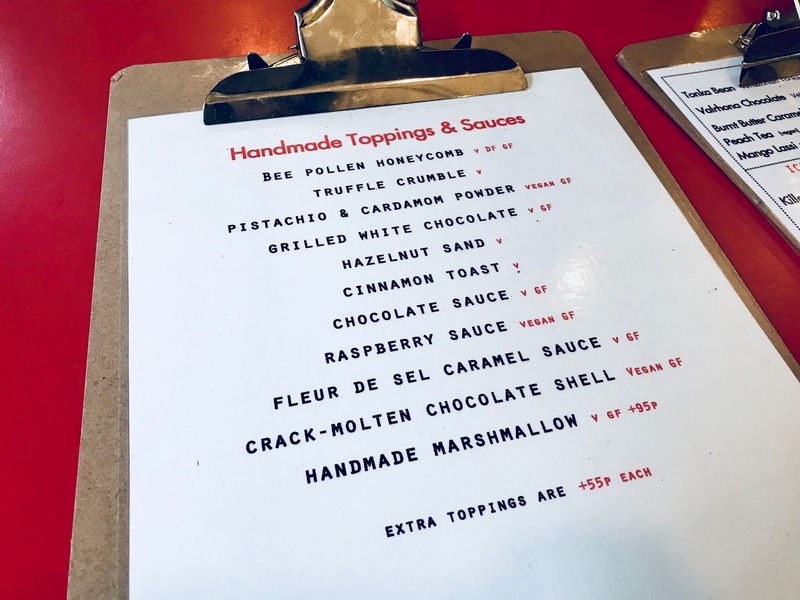 For ages I've been seeing this dessert shop popping up all over my Twitter and Instagram feeds, and I thought it looked pretty interesting. 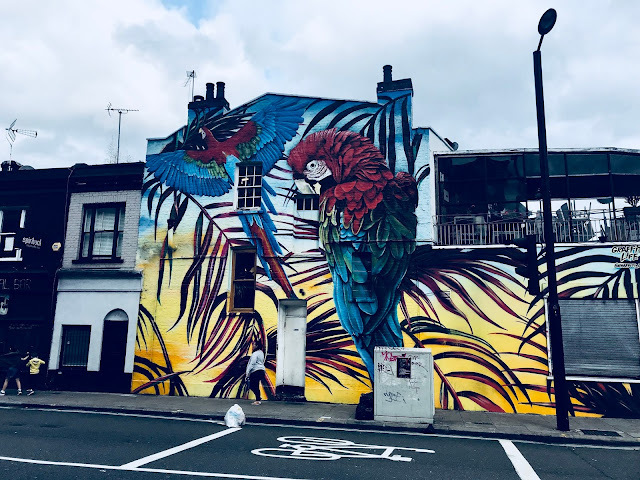 I popped it down on my list of places to visit in my notes on my phone. I thought it would be a nice place to visit over summer, but this summer has been busy and went really fast so I never got round to going. 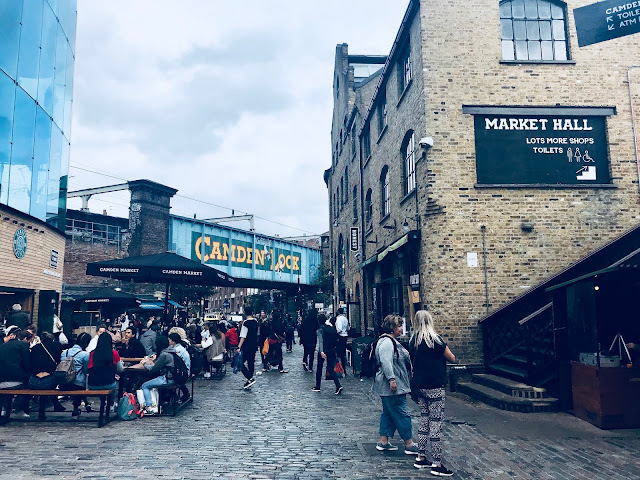 However I'm not back at uni just yet and so a few days ago my friends (Hollie and Lucy) and I made our way to Camden Lock to finally try it out! 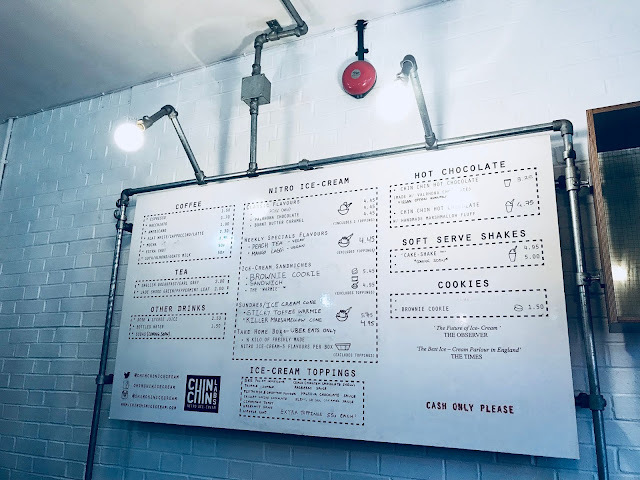 Chin Chin Labs is like no other dessert place I've ever been too - so yeah nothing like your local Creams or Kaspas (if you're from SE London...) The inside of the café looks exactly like a science lab (I suppose given away a bit in the name...) It featured exposed pipes and lightbulbs, and of course large canisters of liquid nitrogen. We took a while choosing what we actually wanted to order because there were so many different variations and some very unusual flavours to choose from! Some of the flavours on offer include Tonka Bean, Valrhona Chocolate and Mango Lassi - so yeah pretty weird. The idea is that you choose a type of ice cream sandwich, sundae or cone, then your flavour of ice cream and then finally any toppings you want to add. 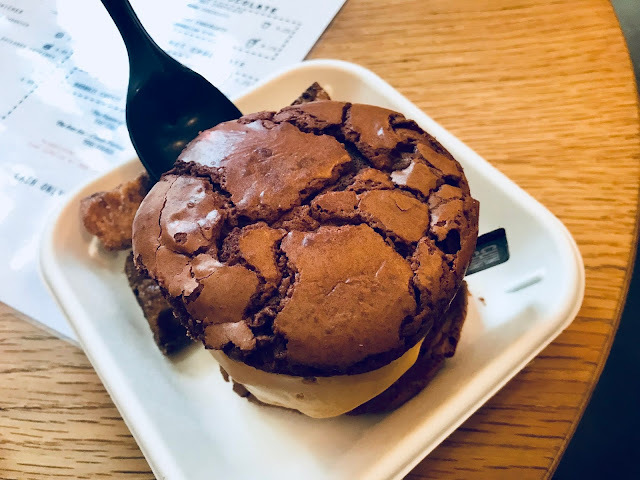 In the end I decided to pick their bestseller which is the Brownie Cookie Sandwich. 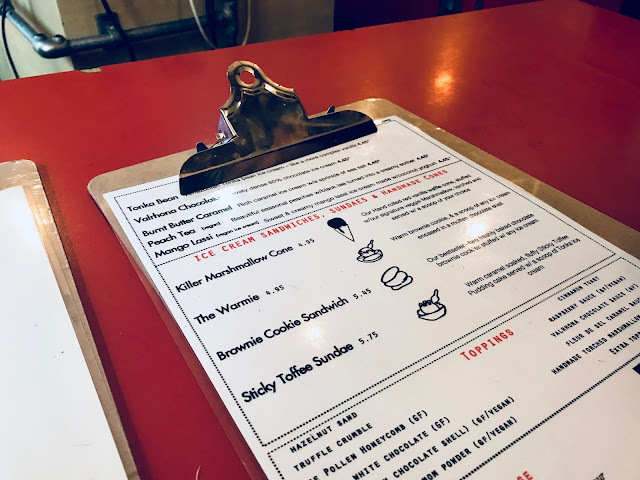 I picked Burnt Butter Caramel for my choice of ice cream and for my topping I picked the Cinnamon Toast. Then we watched them create the ice cream. 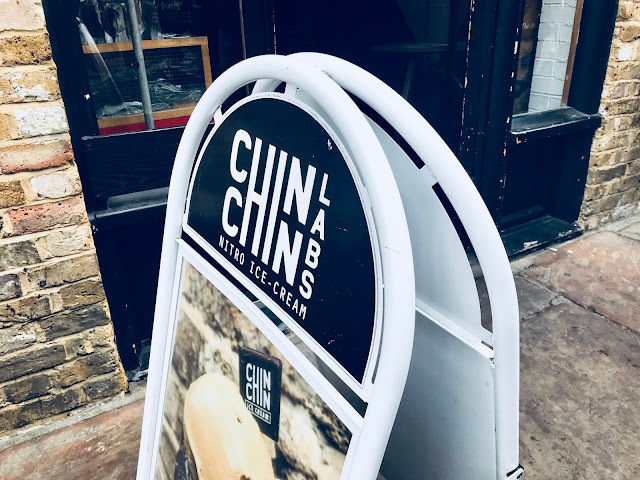 Chin Chin Labs also sell drinks too like coffees, juices, shakes, and their Chin Chin Hot Chocolate that looked amazing. All of their menu options are vegetarian and many are vegan and gluten-free too which is really good. My friends (being veggie) were pretty excited about the vegetarian marshmallow in particular tbh. My Brownie Cookie Ice Cream Sandwich looked amazing, and it was time to taste it. The ice cream actually tasted very different to any other ice cream I'd ever tried before. The flavour was a lot more rich and intense, and the texture was so so smooth. It was delicious. Even the brownie cookies tasted so amazing, and the cinnamon toast tasted just like cinnamon and sugar coated croutons - so yum! 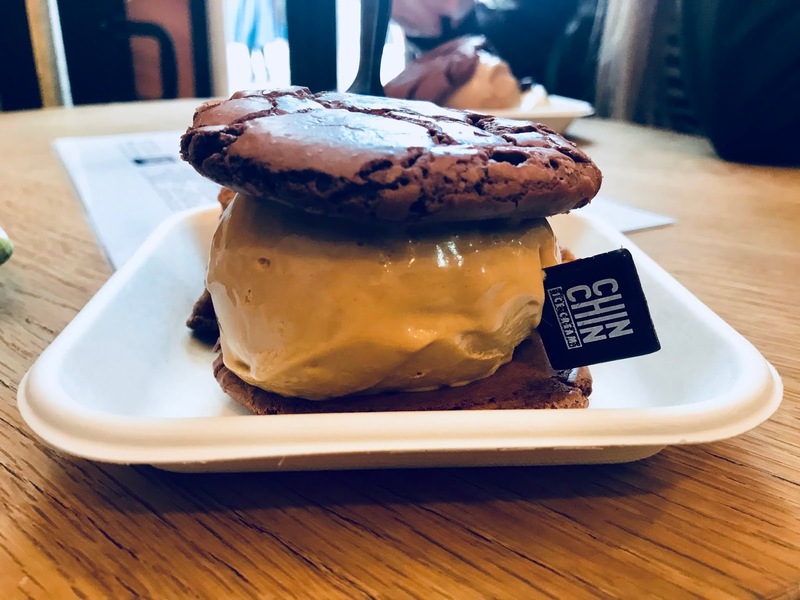 Chin Chin Labs is such a unique ice cream experience. 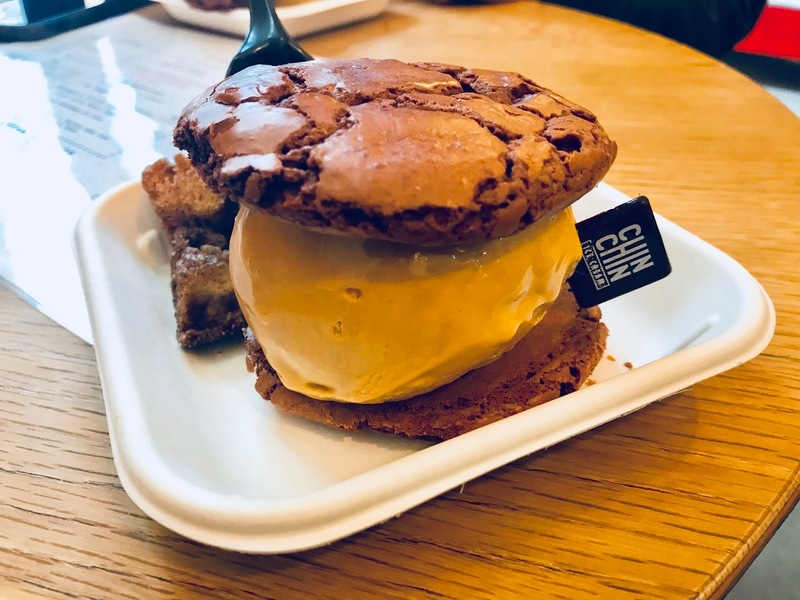 I would certainly recommend to anyone visiting London to try this ice cream place out because I genuinely think it was some of the best ice cream I've ever tasted. Chin Chin Labs also has stores in Soho and Canada Street, or you can try some of their delicious and unique ice cream toppings by checking out their online store.